Al-Dowaisan v Al-Salam. 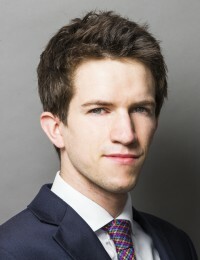 James (led by Nikki Singla QC) acted for the Claimants in a wide-ranging commercial dispute. The judgment contains important guidance on fiduciary duties, the duty to account, and the defence of illegality in the context of tax evasion. See  EWHC 301 (Ch). Meridian v Batista: James acts (led by Graeme Halkerston) for the successful applicant in the Cayman Islands, obtaining a Worldwide Freezing Order against the Brazilian oil magnate and sometime 7th richest man in the world, Eike Batista. The case makes new law in respect of the circumstances in which a court will grant WFOs against non-residents and in support of ‘treble damages’ claims. Deutsche Bank v SHI and Vik; SHI v Sarek et al: James acts (led by Tim Penny QC) for Receivers appointed over assets of a Turks and Caicos Islands company previously controlled by Alexander Vik. James has appeared as sole counsel in the English High Court and has acted in litigation in England, Guernsey, and the TCI. See e.g. EWHC 3265 (Comm). The Pensions Regulator: James regularly acts both for TPR and for Targets in respect of regulatory action brought by the Regulator. The nature of such projects is often confidential, but James has significant experience of the Regulator’s powers to impose Financial Support Directions and under s. 231 of the Pensions Act 2004.